﻿ Plywood Billing & Accounting Software, Timber billing Industry software. 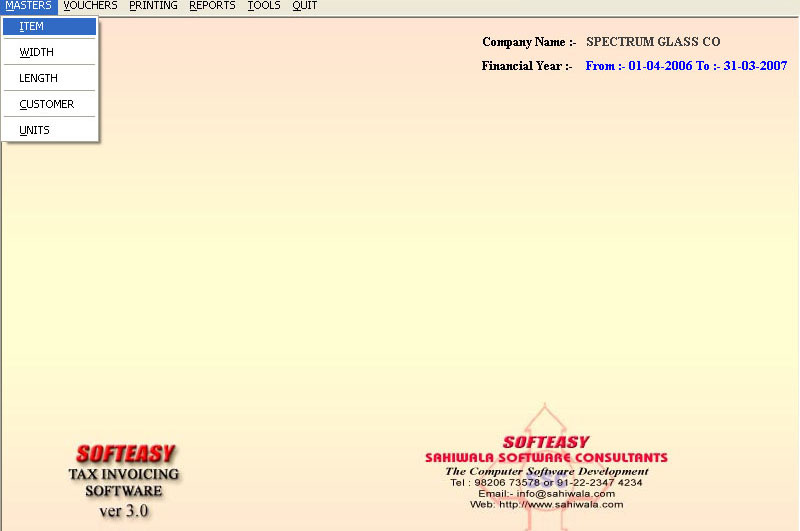 This is a Complete PLYWOOD BILLING AND PLYWOOD ACCOUNTING software with its new features. 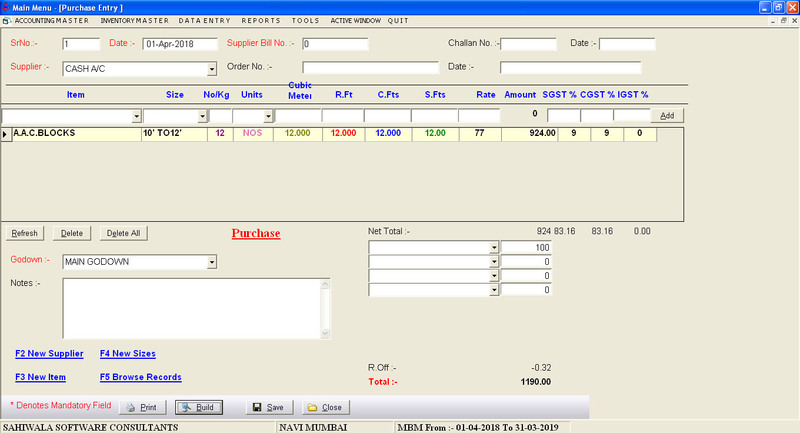 The Timber Billing Software is used by the Plywood Traders Timber merchants.The Timber Plywood Industry software tracks the billing of the customers and stores the data in the software to get easily retrieve whenever required.The Auto Plywood Billing software is automatic plywood software in which the user has to feed the data once and the rest of the repitation of the data done by thesoftware itself.for e.g. if one has created the data master of the customer to whom the billing has to be raised, the same customer name will going to appear in the drop down against the name. The Timber solutions software is automatic software where one has to give the formula in the master for the conversions of R.ft into cuft, where the inventory software itself calculates the calculations and the same goes with the GST Tax. It has the several masters in the name of Customer masters, Item Masters, Size Masters, Units master and length and width masters.The delivery Challan is prepared against all these data. One has to create the masters first of all these data and then against this the delivery challan of Timber software is prepared.And against this delivery challan the final copy print out of INVOICE is prepared with the amount and total GST. The Free Download Timber Billing Software is available for your inquiry and it can be easily downloadable for you to use at ease. The Timber Billing management Software can be made in to plywood customized software according to the needs and requirements of the clients. It can also be extended to cover the whole part of the glass business like accounting as well as inventory management software.